#### Who is George Fairbanks? I’m a software developer, consultant, educator, and speaker. I’ve been developing software since the mid-80’s and teaching software design since the late 1990’s. #### Is he an academic or an industry guy? A bit of both. I’ve got a Ph.D. in Software Engineering from Carnegie Mellon University, advised by David Garlan and Bill Scherlis. My dissertation introduced design fragments, a new way to specify and assure the correct use of frameworks through static analysis. 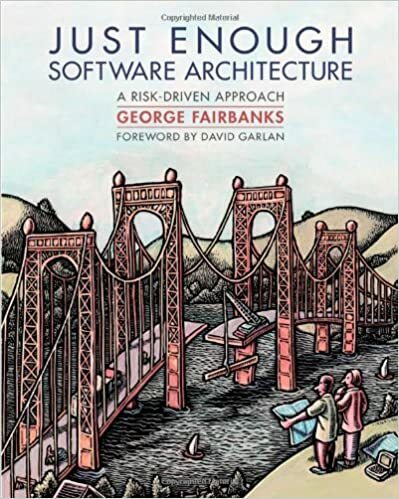 I have publications on frameworks and software architecture in selective academic conferences, including OOPSLA and ICSE. In the Spring of 2008 I was the co-instructor for the graduate software architecture course at Carnegie Mellon University, but otherwise my teaching has been in industry (banks, internet companies, NASA, etc.). I have written production code for telephone switches, plugins for the Eclipse IDE, and everything for my own web dot-com startup (which was pretty similar to Wikipedia and founded in the same month, but you can guess how that panned out). I am somewhat dangerous at many levels of computing starting with building my own Linux boxes up through enterprise architecture and strategy. Full resume I’m currently a software engineer at Google.